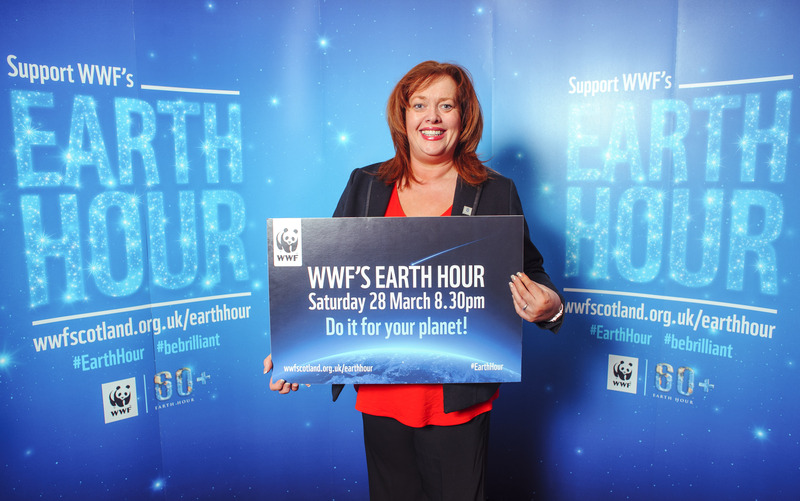 Glasgow Labour MSP Anne McTaggart is joining millions around the world by signing up to WWF’s Earth Hour. This year’s switch off event takes place at 8.30pm on Saturday 28 March. Around the globe workplaces, homes and iconic landmarks will be going dark for an hour in the world’s biggest symbolic display of care for the planet and action on climate change. In Scotland, Edinburgh Castle, Falkirk Wheel and the Kelpies are just a few of our famous landmarks marking the hour. “I’m really excited about this year’s Earth Hour and it’s shaping up to be a big one. It always delights and amazes me how Scotland gets behind the event, whether its political parties or classrooms full of children. By signing up and switching off you’re joining a symbolic display by millions around the world who care about our planet and are willing to take action, beyond the hour, to protect it. Now in its ninth year, WWF’s Earth Hour continues to grow. Last year 162 countries and 7000 cities took part, from the islands of the South Pacific already feeling the impacts of climate change, to the Scottish Parliament and Government in Edinburgh and the corridors of power in Paris where the next UN climate negotiations will be held in December this year. This entry was posted in Uncategorized and tagged earth hour, environment. Bookmark the permalink.